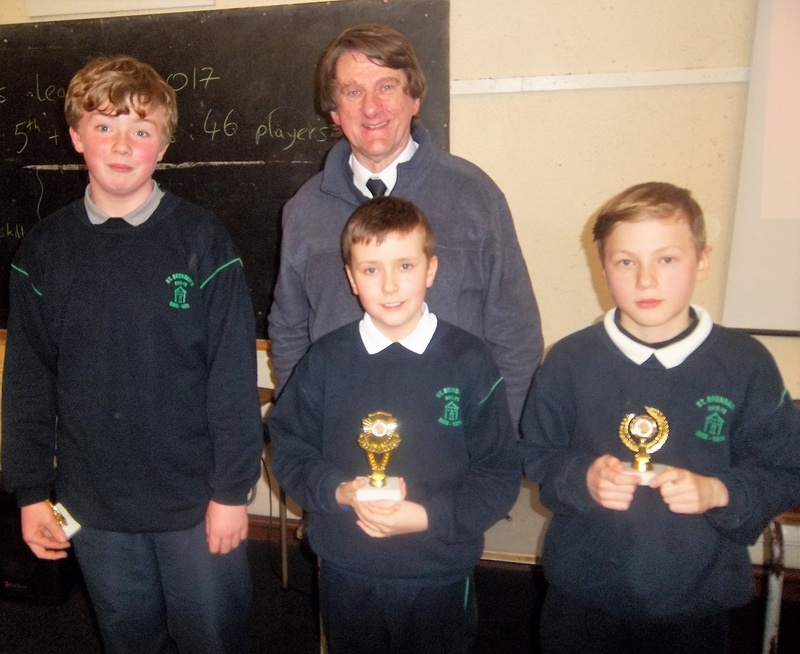 Boys from 4th / 5th and 6th classes finished their 5 week programme of chess lessons with Mr John Alfred. All the boys enjoyed the tuition greatly with some life-long skills being picked up. The beauty of chess as a teaching tool is that it stimulates children’s minds and helps them to build these skills while enjoying themselves. As a result, children become more critical thinkers, better problem solvers, and more independent decision makers. We also see the social benefits of the chess programme which has been running for the past 5 years. In the classes, chess often serves as a bridge, bringing together children of different ages and cultural background in an activity they can all enjoy. Chess helps build individual friendships and also school spirit when children compete together as teams against other schools. Chess also teaches children about sportsmanship – how to win graciously and not give up when encountering defeat. For children with adjustment issues, there are many examples where chess has led to increased motivation, improved behaviour, better self-image, and even improved attendance ( Fridays!). Chess also provides a positive social outlet, a wholesome recreational activity that can be easily learned and enjoyed at any age. We hope to keep this going with our lunchtime chess club also. The finale of the programme is the in-school chess championships. 4th had their own with Antonio Anspoks as champion and 5th/ 6th came together with 46 players taking part. The school champion is Sam McAuley from 5th class. Well done to Sam and all that took part. Tommy Kelly Shaw, New Road, Birr, Co. Offaly, February 14th, 2017. Our Junior Infant ( 16/17) sadly passed away after a long and brave battle with illness. 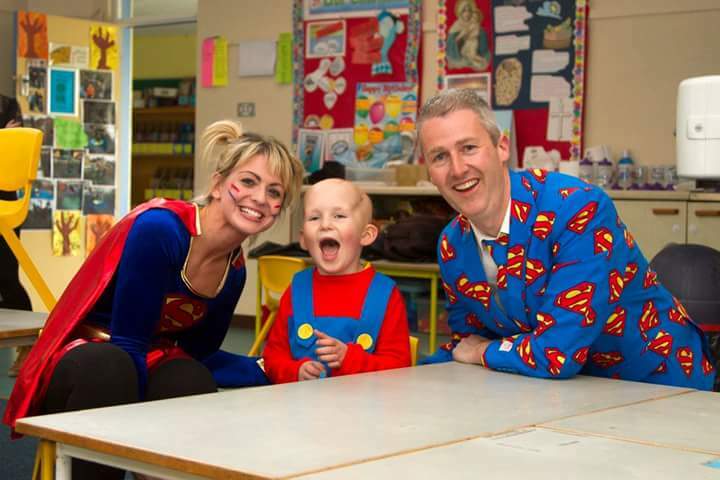 He will always be a super hero in the hearts and minds of St Brendans PS. It is with great sadness that the school community extends its deepest sympathy to all of Tommy’s family and friends. He will be sadly missed and never forgotten by his loving parents Keith & Lisa, sister Shanna and brother Darragh, grandparents Michael and Ann Kelly, Billy and Yvonne Shaw, relatives, neighbours and friends. Reposing at his home on Wednesday from 3 o’clock – 8 o’clock. Removal from his home on Thursday morning at 10.15 o’clock to arrive at St. Brendan’s Church, Birr at 10.45 o’clock for Funeral Mass at 11 o’clock. House Private on Thursday morning please. At the request of Tommy’s parents please war brightly coloured clothes. May his gentle sole Rest In Peace. Schools are encouraged to bring their classmates & family with them on the day; just please let us know the number of people that will be coming, adults and children, to ensure we have adequate seating for all.